New High Score contest. 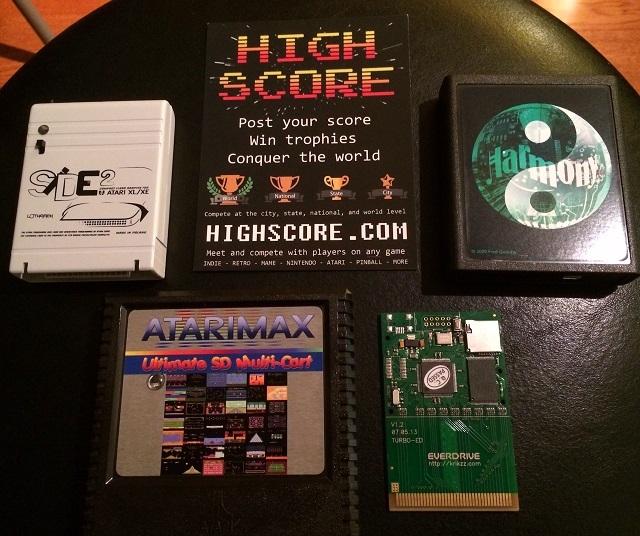 Prizes: $50 AtariAge gift certs and Flash carts. I've started a new High Score contest today. AtariMax 5200 Ultimate SD Multi-Cart (valued at $129 USD). Lothratek SIDE2 Compact Flash cartridge for Atari 8-bit computers and XEGS (valued at $62 USD). Turbo Everdrive microSD card adapter for PC Engine and TurboGrafx-16 consoles (valued at $79 USD). Harmony SD card cartridge for Atari 2600 (valued at $60 USD). In addition to the above, multiple $50 gift certificates for the AtariAge store are also up for grabs. Categories include: Atari 2600, Atari 400/800/XL/XE, Atari 5200, Atari 7800, Jaguar, Lynx, and TurboGrafx-16/PC Engine. The contest runs from today until December 20th, 2014. So this contest is not centered on any particular games for a system...we can just draw one at random and start playing to max it out? Edited by Crimefighter, Mon Oct 13, 2014 10:43 AM. Basically, the objective is to beat as many high scores on games on that system as you can. Location:Keeping North of Austin Weird. So do the games have to be played on original consoles? I don't see any mention of emulators on the website. Are you serious? Oh wait, you are! There are separate categories for authentic hardware and emulated game play. For this contest, trophies won on emulated game play and original hardware both count. 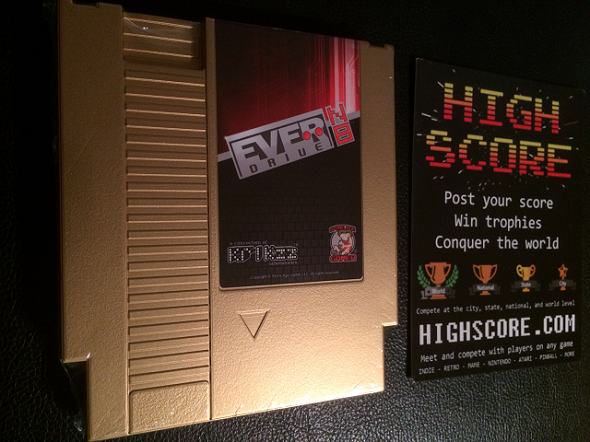 SNDTST.com has generously donated this NES Everdrive N8 Gold Deluxe edition flash cartridge to the prize pool. Starting today, whoever accumulates the most worldwide trophies by February 14th on NES/Famicom games will win this prize. Im intrested in these for sure when does this shindig start? The NES contest is currently in progress. There will be more contests during 2015, with some of those to begin pretty soon. High Score just started a new multi-platform contest on Tron games. The prize is a NOS M-Network Tron Joystick for Atari 2600 (and other systems that are compatible with Atari joysticks).